Support Vector Classifier (SVC) is a form of Support Vector Machines (SVM) capable of categorizing inputs under supervised training. 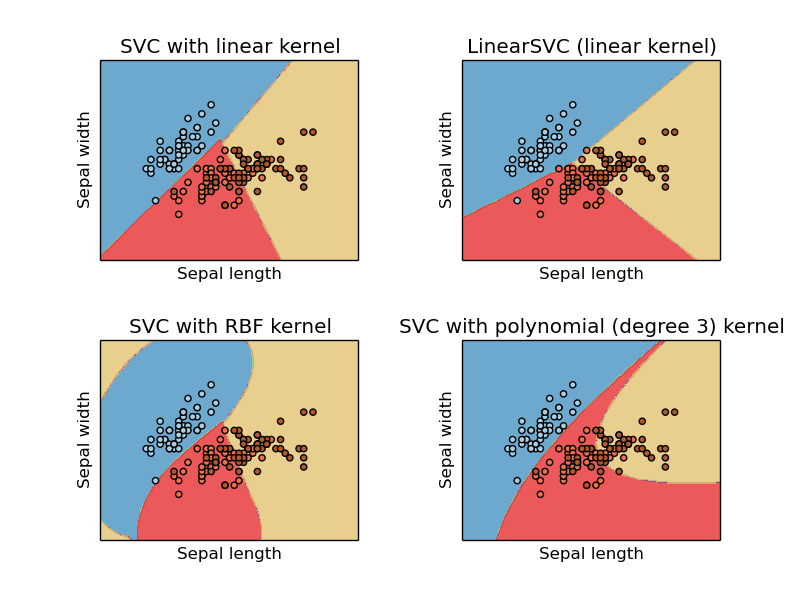 This blog post discusses how to implement SVC using Python using the scikit learn module. We will walk through a simple example below. To start off, import the necessary support modules, which includes numpy,and SVC from sklearn.svm, and joblib from sklearn.externals. Next we create two arrays, X and y. X is a list of feature vectors, each feature vector a list in itself. In the example below, each feature vector has two elements, and there are 8 sample feature vectors. y is the label vector, each element in the vector is a ‘label’; that is, the label you want the SVC to associate the corresponding input with. In the below example, the feature vector, [-2, -2] will be associated with label ‘d’ (fifth element of y). # X is a list of feature vector. To test the network’s ability to generalize, we pick a feature vector that is very close to one of the feature vectors used for training. We do this because we know what the right answer ought to be. For instance, since we know [-2, -2] is associated with label ‘d’, we would expect that [-1.8, -2.1] to also respond with label ‘d’. Sure enough, the results are as expected.